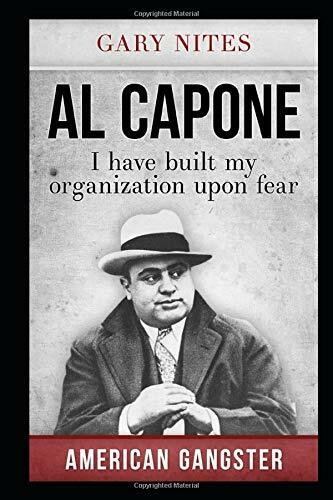 'I have built my organization upon fear' Occupying a position among legends, Al Capone is a name made synonymous with the secret world and the celebrity life of a mafia capo crimine. His life has been the subject and inspiration of several retelling of the controversial world when the United States were inside the grips of several mafia families. This book is the beginning of a series about the lives of other legendary US gangsters. This biography traces the humble beginnings of Capone and how the code of Omerta protected him and his activities. You will discover the inner workings and culture of the Capone regime, how layers of secrecy and security created the Outfit that allowed him to rule Chicago with his iron grip. Know about Capone’s path to ascension and his rule as the capo de tutti capi. Discover the hits and misses in Capone’s life, from bloody massacres to failed assassinations. See how both his friends and foes cowered in fear of Capone’s vengeance and relished in Capone’s gifts. Find out how he was finally caught, imprisoned and fell from grace. Know what happened to the vacant throne he left upon his death and how his legacy endures even until today. Know more than the legend but also the man. Misunderstood and misinterpreted, you be the judge on the life of Al Capone. Here is a preview of what you'll learn: · CHAPTER 1: The Mafia, the Hierarchy & Chicago · CHAPTER 2: Birth of Scarface- His Early Years · CHAPTER 3: Path to Ascension- Career in Chicago · CHAPTER 4: Height of Power- the Boss · CHAPTER 5: Life of Luxury- His Home, Preferences & Lifestyle · CHAPTER 6: Friends & Foes- His Allies & Enemies · CHAPTER 7: Hits & Misses- Modus Operandi, Massacres & Failed Assassinations · CHAPTER 8: Fall from Grace- Trials, Imprisonment & Release · CHAPTER 9: Vacant Throne- Later Years, Death & the Aftermath Download your copy of "Al Capone" by scrolling up and clicking "Buy Now With 1-Click" button.